W1GHz All Band Power Meter Complete Kit. 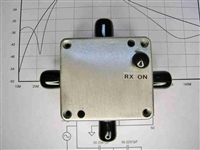 PDF Legal Limit High Isolation Dual RF Coaxial Relay 10MHz Amplified and Filtered 4 Way divider. 10MHz Amplified and Filtered 4 Way divider. PC Board. 10MHz Amplified and Filtered 4 Way divider. Complete kit. 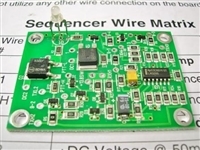 To convert 2M IF transverter to 28MHz IF. Fully Assembled NEW 4 Step Solid State sequencer. Generic 2-Stage MMIC Teflon PC Board ONLY. Single stage bias power supply for GaAs-FET preamplifiers Thermistor and brass clamp assembly kit for HC-49 crystal. 5 Circuit "Push to Talk" buffer. PC Board Only! LED Power Meter PC Board kit. Transverter control IF switch. Transverter control IF switch. PC Board kit. Transverter control IF switch. PC Board ONLY. PDF Original 4 Step Sequencer. Original 4 Step sequencer PC board kit. PC Board mount RF relay, 5 watts@1.3 GHz max. PC Board kit Only! Assembled VHF synthesizer PC board only Assembled VHF synthesizer PC board with installation hardware.